Happy Holidays! ONRAD's 2012 in Review... - ONRAD, Inc. This last year at ONRAD has been extremely dynamic. We continue to have record growth. In fact, in November, we broke a monthly volume record. We are also very excited to have partnered with our first full hospital system. By partnering with a hospital system, we are able to use our technology and highly skilled national network of radiologists to add consistency and quality in radiology service delivery across all of the system’s radiology departments in a very cost-effective manner. One of the most exciting developments this year has been the addition of our new CEO and President, David Willcutts. Dave takes over for Samuel Salen, MD who retired from his administrative role at ONRAD in November, but remains active as Board Chair and Medical Director. From a technology perspective, 2012 has been challenging, but rewarding. We are just now completing a long overdue RIS upgrade. The saying goes, “The best things in life are worth waiting for….” Well, we at ONRAD certainly believe that to be the case with our new RIS. We have spent months meticulously ensuring that all of the advanced logic and customization from our legacy RIS has been ported over to the new system, along with a great deal more efficiency-generating features. For example, the new RIS will allow referring physicians to view a customized workist with current status of all their pending orders to ONRAD radiologists, and recent reports, on any web enabled device, including an iPhone or iPad – this is the kind of transparency our customers are demanding, and that we are planning to deliver right to their fingertips. The new RIS also will power the new ONRADview emergency room touch screen appliance that ONRAD introduced at RSNA. The ONRAD IT staff has also doubled the number of HL7 interfaces with our customers, and plans to continue that trend into 2013. Finally, ONRAD has spun up our disaster recovery datacenter in Vernon Hills, Illinois, to further enhance ONRAD’s already highly-redundant network infrastructure. Most of all, the ONRAD IT department is looking forward to some exciting new innovative projects in 2013 that will add real value to our customer’s experience and interaction with us – stay tuned! Our operations team has also been busy and dynamic this year. ONRAD continues to grow, and with the addition of an entire hospital system, the ONRAD’s operations team has scaled. In the face of record volumes in the last few months, ONRAD has maintained some of the best turnaround times in the industry, and has continued to increase our Net Promoter Score (NPS), indicating a high level of customer satisfaction.  In the middle of the year, ONRAD’s Joint Commission accreditation was successfully renewed, and ONRAD was ranked second overall across all teleradiology providers, nationwide, in the independent KLAS survey. We are truly proud of these accomplishments, but we plan to do even better in 2013. The medical staff at ONRAD has accomplished a great deal, as well. Our physician team has continued to grow, both keeping up with our record volumes as well as maintaining some of the lowest discrepancy rates in the industry. This year, ONRAD has successfully added several new services based on the impressive skill of our physicians, including breast MRI and PET/CT. Best wishes this holiday season, and we would love to hear back from you! Leave us a message below… we look forward to working with you in 2013!